Gannett lost more than 40% of its value since it was spun off as a public company in 2015. Newspaper chain MNG Enterprises offered $12 per share in cash, or $1.36 billion, to buy Gannett, one of the largest U.S. newspaper companies. The price represents a 23% premium to Gannett shares’ close on Friday. MNG, which is also known as Digital First Media and backed by hedge fund Alden Global Capital, said it owns a 7.5% stake in Gannett and is the company’s largest active shareholder. In a letter to the Gannett board, MNG said it approached members and management on multiple occasions about a strategic combination. “Despite our overtures, Gannett has not meaningfully engaged with us,” the letter said. MNG said Gannet should commit to a moratorium on the acquisition of any additional digital assets, immediately commence a review of strategic alternatives to maximize shareholder value, and commit to a feasible, strategic and financial path forward before hiring a new chief executive. Gannett’s current CEO, Robert Dickey, is set to retire in May of this year. “Based on our industry experience, we believe that it will be very difficult for Gannett to address its operational and strategic issues as a public company, and that a sale of the company presents the best path forward for Gannett stockholders, employees, business partners, and customers,” MNG said in the letter. Gannetthas lost more than 40% of its value since it was spun off as a public company in 2015. In its own statement, Gannett said it would carefully review the proposal, consistent with its fiduciary duties. Gannett operates dozens of publications across the country. MNG owns about 200 newspapers. 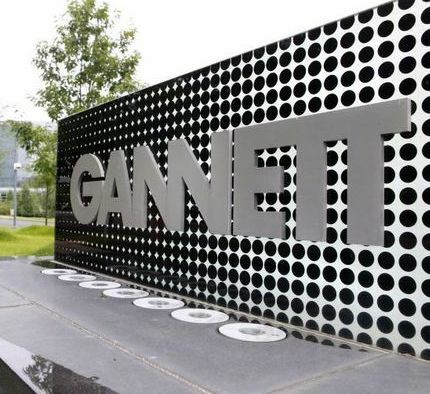 “Frankly, the team leading Gannett has not demonstrated that it’s capable of effectively running this enterprise as a public company,” MNG said in its letter. Gannett stock was up more than 18% Monday morning.